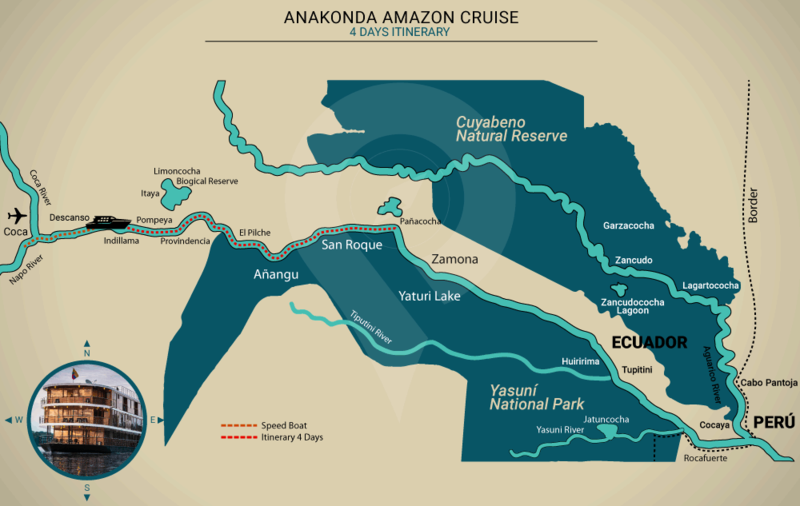 The Anakonda Amazon River Cruise is the only luxury ship in the Ecuadorian Amazon Rainforest. 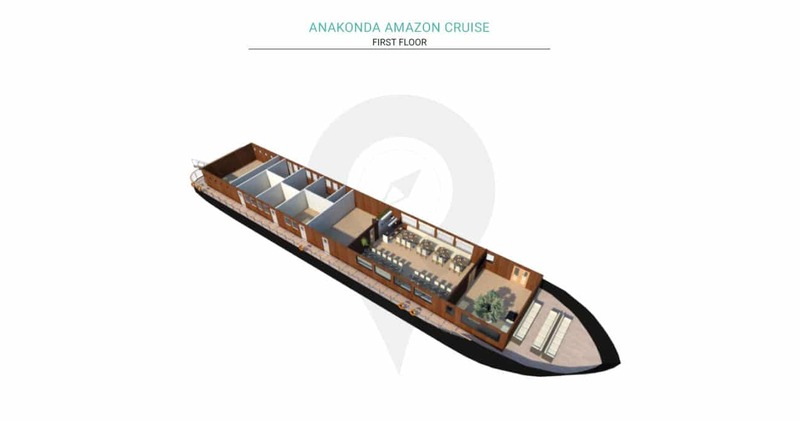 It was built to make the experience of the Amazon the most comprehensive and unique adventure possible! Its eighteen suites feature ample sitting areas, large and comfortable beds. 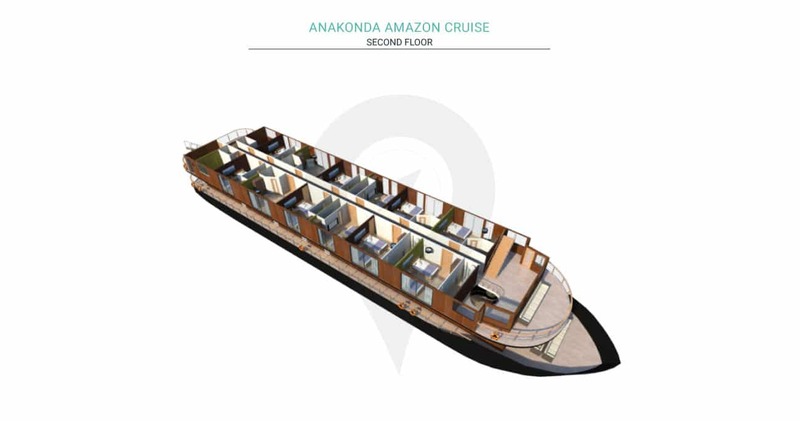 The Anakonda Cruise comes complete with an expansive observation deck, outdoor Jacuzzi and an al fresco lounge, ideal for cocktails, relaxation, reading or simply enjoying the spectacular view. The Anakonda Cruise also features 3 canoes for guest transportation to land excursions and activities and 10 kayaks, as well as hammocks, naturalist tour leaders and a travel concierge, who will go out of his way to personalize your experience, making the Anakonda Amazon River Cruise a savory, unforgettably exciting treat! Luxury cruises with panoramic windows throughout the vessel and cabins, some might feature suites with private balconies. Fully equipped cabins with Eco toiletries, hot showers and hair dyers. Common areas include Al-fresco dining facilities, boutique shops and outdoor jacuzzi's. Active gear included for daily activities such as rubber boots, rain ponchos etc. Electricity available throughout the vessel with outlets in cabins. 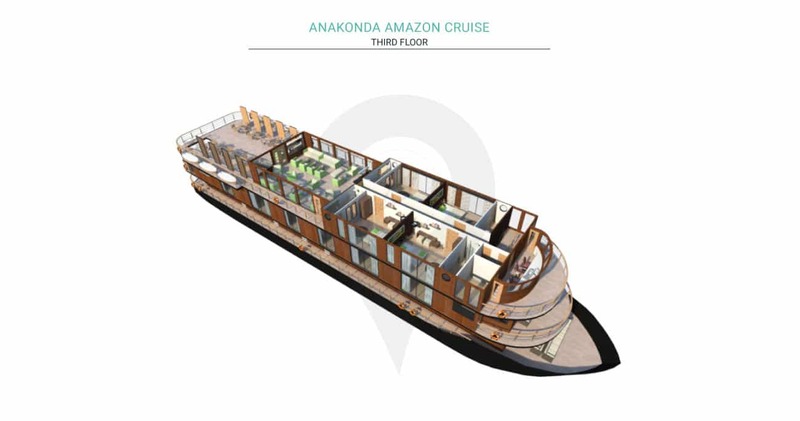 Suites and cabins on the Anakonda Amazon River Cruise are groundbreaking in every sense. 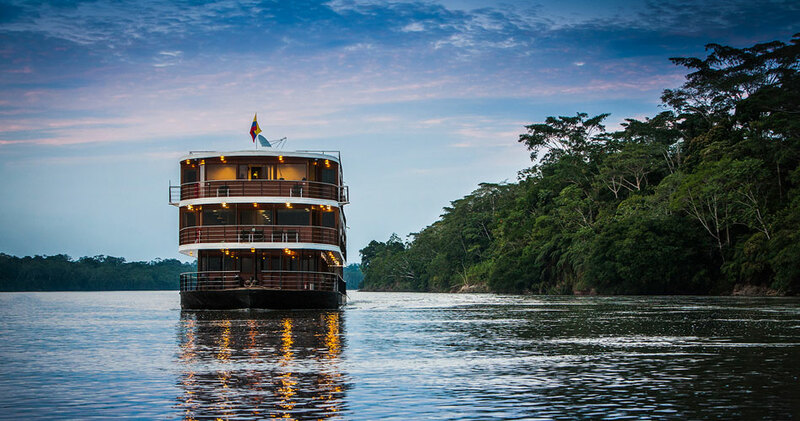 For some reason, no one ever thought it possible, or even convenient, to bring all the perks of creature comfort to Amazon cruising in Ecuador. 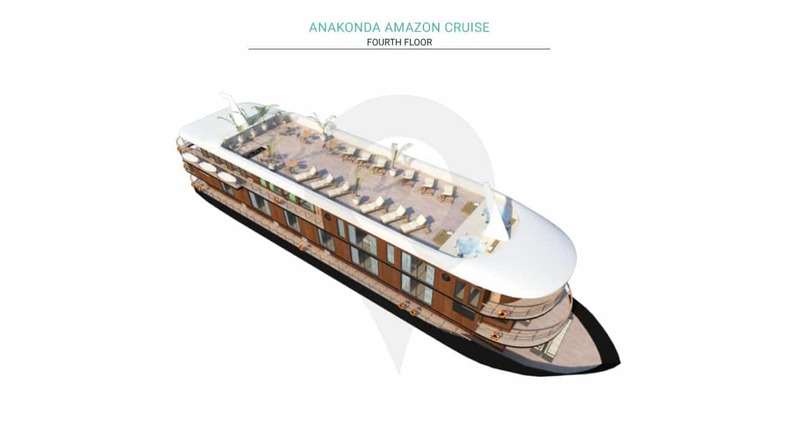 The Anakonda now does, offering up to 20 square-meters worth of space to unwind in suites, with private balconies, Jacuzzis, and full-frame panoramic windows that offer you just that much more of the Amazon’s sights and spectacles. But we are always connected to the world via satellite-serviced Wi-Fi internet. On board, it is a moment of self-indulgence; it is a retreat amidst the comforts of excellent service, ergonomic facilities and delicious food, a beautiful temporal living space that invites travelers to relax and contemplate the natural world in all its splendor. On land, the experience mutates. We are offered the excitement of adventure, we plunge into one of the most remote corners of our globe, where biodiversity is teeming, where life is incessant, where our interaction with nature brings us closer to it, and where we will feel all the more alive. Conceived as a true overall experience, can only complement the excitement of discovering such a fascinating natural world. 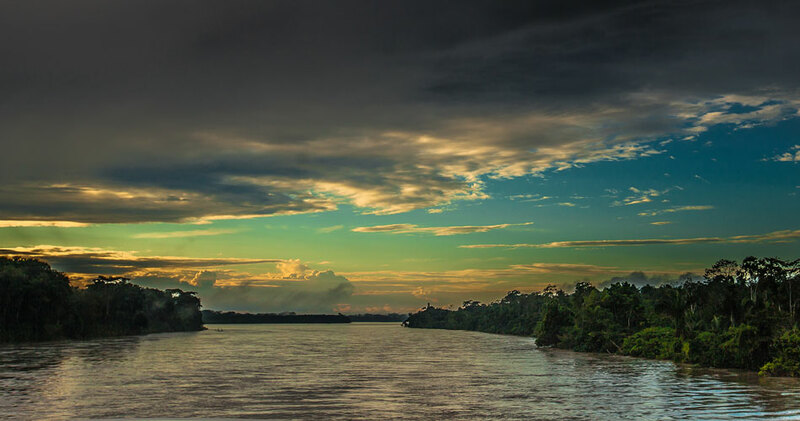 There are many different types of ecosystems within the Ecuadorian Amazon Basin, and during Anakonda’s comprehensive Amazon tours we will be visiting several. We will explore Amazonian lake systems, flooded Moriche palm forests, terra firme (which is basically hard ground dominated by amazingly tall trees and lush undergrowth), varzea (or seasonally flooded forest, black-water streams and brown-water river islands, and much, much more. 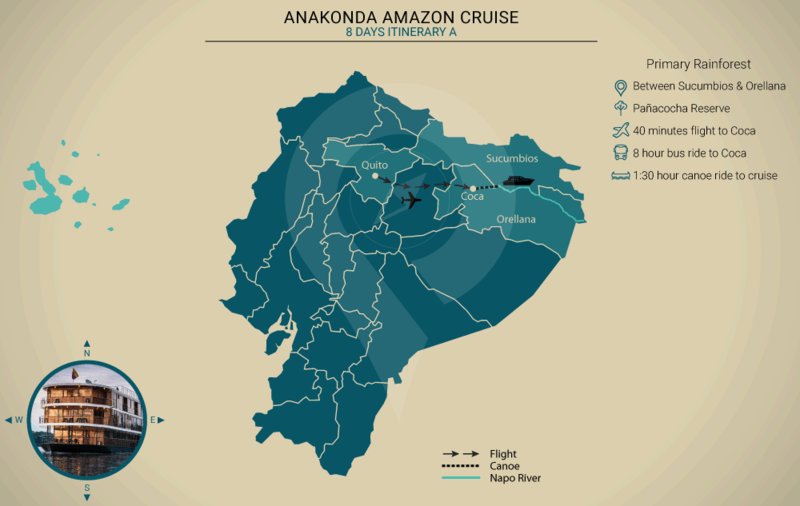 Anakonda cruise will take the time to visit different portions of the Amazon River Basin, giving you the best ‘big picture’ available. 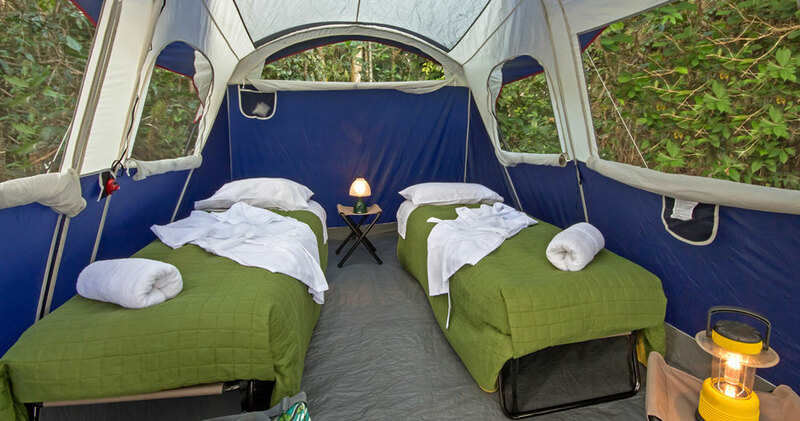 Amazonia couldn’t miss out on glamping, the new craze in luxury adventure! camps fully sealed and above ground on wooden platforms, equipped with comfortable beds, charming rustic furniture, and excellent service. Guests will be able to enjoy gourmet meals, champagne and hot showers in our tented area after exciting nature walks in the most riveting of natural environments of primary rainforest. You may choose between four different camp sites (Cocaya, Jatum Cocha Yasuni, Huririma and Sani), where you can enjoy and explore the beautiful surroundings and amazing biodiversity of plants and animals. In the evening, local guides will tell exciting tales on life in the jungle, after a delicious breakfast, board the Anakonda Amazon Cruise. Itineraries, inclusions & exclusions are subject to change. Children rate applies 1 child per 1 adult. In case there are 3 children and 2 adults, the third child pays adult rate. DAY 1 – Flight from Quito to Coca. Arrive in Coca and transfer to the vessel by motorized canoe. Navigation downstream the Napo River. Night walk to discover a nocturnal perspective of the Amazon basin featuring unique wildlife. DAY 2 – Navigation downstream to the Pañacocha Lake. Walking excursion in the freshwater swamp forest. Enjoy a delicious Amazon BBQ at a camping site. Kayaking and swimming activities in the Piranha Lake. 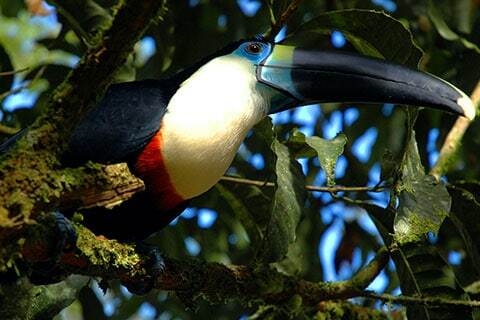 DAY 3 – Observe one of the most amazing spectacles of the Ecuadorian Rainforest from our canoes, the Parrot Clay Licks. Learn about indigenous lifestyles along the Napo River. 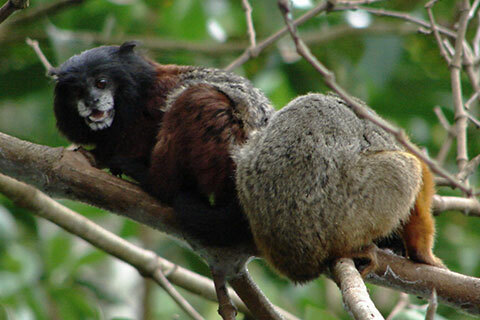 Climb an observation canopy tower and enjoy a 360º view of the Amazon sunset and bird watching. DAY 4 – Transfer to Coca by motorized canoe and transfer to airport. Flight from Coca to Quito. DAY 1 – Flight from Quito to Coca. Transfer to the vessel by motorized canoe. Navigation downstream the Napo River. Night walk. DAY 2 – Navigate to the heart of the Yasuni National Park a pristine and little explored area, in search of the legendary Pink River Dolphin and vibrant wildlife. Explore a blackwater river home to giant Otters and the elusive Manatee. DAY 3 – Visit a traditional Quechua Family where you can learn about their traditions. Life onboard, cooking class and make traditional handicrafts. 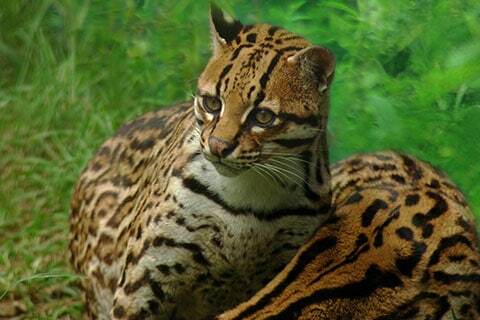 DAY 4 – Walk to discover more than hundreds of different animals and plants species that can only be found in the Amazon Basin. Climb to the top of a observation tower that looms over the forest canopy, offering a unique perspective of the Amazon rainforest. DAY 5 – Transfer to Coca by motorized canoe and transfer to airport. Flight from Coca to Quito.